The title speaks volume for the success of the FIT scheme in Germany. According a press release from Germany Trade and Invest (GTAI) experts, last year, German solar installations make up more than the rest of Europe combined. Putting things into perspective, TNB's peak demand is currently about 16 GW and the installed capacity of Germany's solar PV is more that double the maximum electricity demand in Peninsula Malaysia. Germany installed 274 MW worth of photovoltaics in January, according to the latest figures from the Federal Network Agency. Overall, the country has a cumulative photovoltaic capacity of 32.6 GW. The 274 MW of new capacity is spread across 9,299 systems. As such, cumulative photovoltaic capacity has reached an impressive 32.66 GW, of which over 26.5 GW were installed between early 2009 and late 2012. 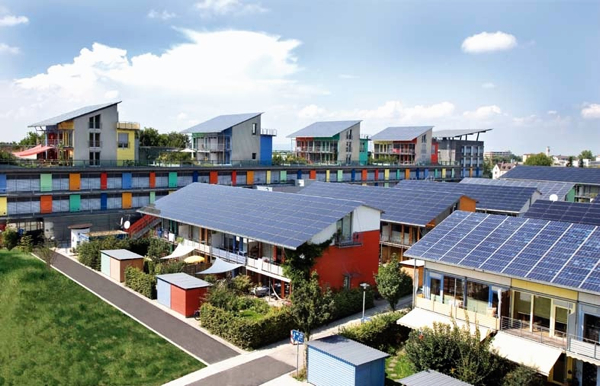 Once Germany reaches 52 GW, the Federal Government plans to phase out support for solar power. Meanwhile, between June and December last year, 3.2 GW of photovoltaics was added in Germany. These figures have been subsequently corrected, said the agency. Installations in this period serve as the basis for calculating the future monthly degression. For February, March and April, the Federal Network Agency has imposed a photovoltaic FIT reduction of 2.2% each month. As such, since March 1, €0.1127/kW is paid to systems between one and 10 MW in size. For smaller rooftop projects, operators receive between €0.1377 and €0.1628/kWh, depending on the system size. TheGreenMechanics: Dear government - please bring back the FIT scheme for Solar PV (and the other 3 Renewable Energies) to Sabah and Sarawak. Wow!32.6 GW,does all that comes with battery backup? Thomas - most of the installations under the subsidised system in Germany are without battery. But Policy makers a already looking at phasing out the subsidy in solar power in a couple of years' time and the use of battery storage is also expected to increase.